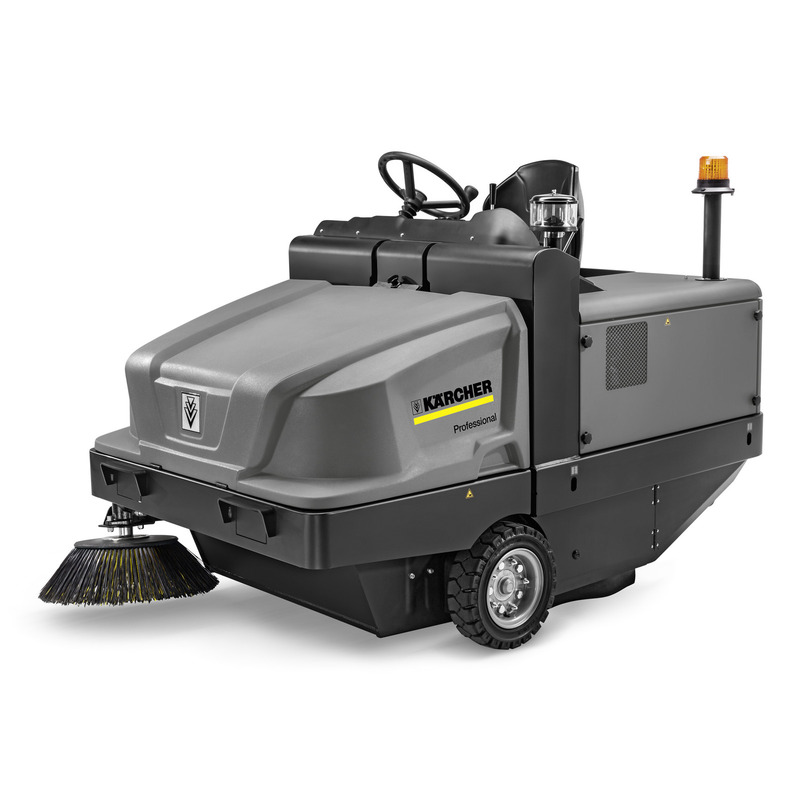 KM 120/250 R D Classic 11860000 https://www.kaercher.com/tn/professional/sweepers-and-vacuum-sweepers/industrial-sweepers/km-120-250-r-d-classic-11860000.html The KM 120/250 R D Classic is an entry-level machine in the industrial sweepers class. It is robust, low-consumption, powerful and fitted with full hydraulic diesel traction drive. The KM 120/250 R D Classic is an entry-level machine in the industrial sweepers class. It is robust, low-consumption, powerful and fitted with full hydraulic diesel traction drive. Our powerful KM 120/250 R D Classic industrial sweeper is especially suited to challenging terrain. The robust design, large waste container and a resistant pocket filter with vibration motor make it the ideal choice for harsh applications in extremely dusty environments, such as those in the construction and metalworking industry as well as in foundries. The diesel-powered machine with fully hydraulic rear-wheel drive and sweeping system is especially designed for outside areas and also impresses with its user-, maintenance- and service-friendliness. Thanks to the integrated Flexible Footprint System, the brushes adapt perfectly to the ground surface and, together with the dustpan principle, ensure excellent cleaning results with fine as well as coarse waste. Lastly, in combination with hydraulic high container emptying, it ensures the convenient disposal of the dirt removed.